Two weeks ago the topic of your Tuesday Tome was a piece of later medieval writing under the title of Sir Gawain and the Green Knight. I argued that aspects of Sir Gawain‘s structure (and treatment of character placement) serve as a window into the complex and proto-modern gender relations of the medieval period, and so people ought not, as seems rather common to me, be so quick to dismiss that period as some kind of primitive dark era of history. Prior to that, I have also written on the insight into cyclical violence between factions that can be gained by reading Beowulf. 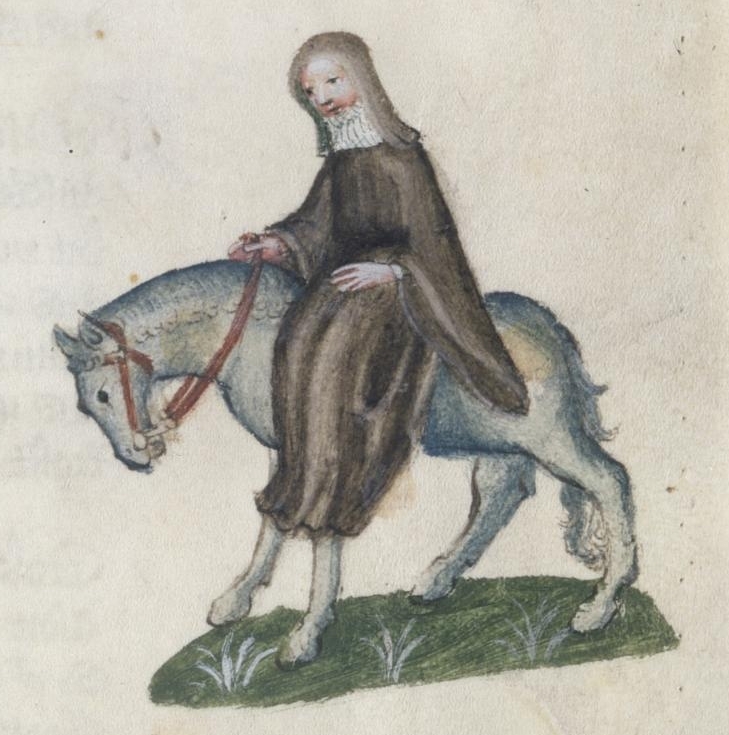 Today I would like to continue this trend of showcasing the vitally relevant and fascinating discussions and lessons that can be gleaned from works of medieval literature by taking a look at what just one segment of Geoffrey Chaucer’s The Canterbury Tales reveals about Chaucer’s larger project of subjectification across disparate social strata. The interplay of reality and fiction is central to both the creation of the myriad characters whose individual identities lend form and substance to Geoffrey Chaucer’s Canterbury Tales, and to the relationships between those characters’ identities and their respective tales. One area where this interplay becomes especially salient is in the handling of the character of narrator-Chaucer as an ostensible expression and presentation of the author himself. The challenge is before Chaucer, in this presentation, of providing a depiction of the narrator’s presence without destroying the carefully preserved realistic fiction of the pilgrims’ universe; in meeting this challenge, however—indeed, in deciding in the first place to include the fictionalized poet as a participant in the game at all—Chaucer creates an inextricable confusion of reality and fiction. The accomplishments of the passages concerning narrator-Chaucer, then, are the degree to which their fictionality contextualizes narrator-Chaucer’s tale and tale-fragment as constituent elements of The Canterbury Tales’ overall effect, and the degree to which their reality lends credence to the reality of the other characters. Chaucer’s speaker’s self-deprecating presentation of his own analogue serves the dual purpose of disarming readers of the Tales‘ portraits and, as I stated above, lending itself to an overall project of subjectification across social strata. 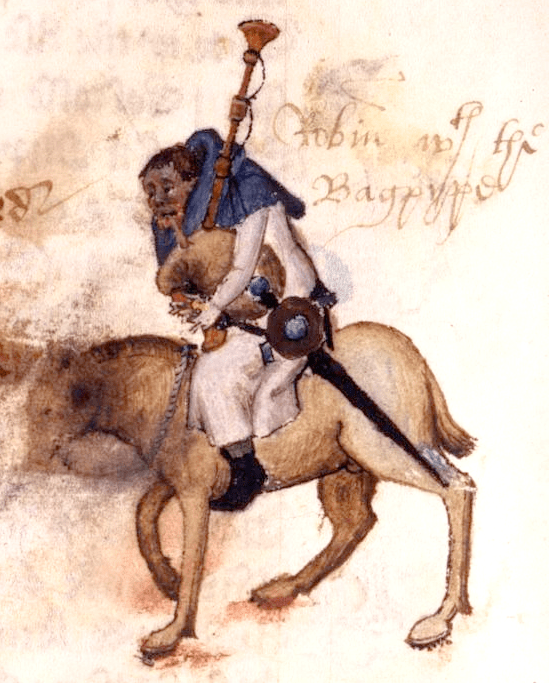 The physical depiction of narrator-Chaucer provided through Harry Bailey underscores the universal relevance of the Canterbury Tales‘ considerations by removing the narrator from his privileged position. On the level of literal description, Bailey provides the following remarks: “He in the waast is shape as wel as I; / This were a popet in an arm t’enbrace / For any womman, small and fair of face” (lines 700-2, “Sir Thopas”). The placement of the semicolon between lines 700 and 701 creates the impression that “any womman” is that which acts as a “popet,” which the OED points out as a reference to a diminutive person or a human-like doll. Yet, the inversion of that sentence and the ambiguity in the phrase “This were” invites a consideration of Chaucer as the one whose meek pudginess presents a doll-like figure. Far from making narrator-Chaucer a more mysterious figure—that is, far from heightening the awareness of his lacking a portrait in the “General Prologue”—the contrast between the depiction of his weight and the mention that he “semeth elvyssh” in the following line actually levels the playing field: Chaucer himself, it would seem, is not immune to the work’s voyeuristic scope. This positioning of narrator-Chaucer among the other characters as opposed to above them is also visible in that speaker’s direct response (or lack thereof) to Bailey’s assessment of his physique: “‘Hooste,’ quod I, ‘ne beth nat yvele apayd, / For oother tale certes kan I noon, / But of a rym I lerned longe agoon'” (lines 707-9, “Sir Thopas”). Narrator-Chaucer’s deference toward Bailey and apparent ineptitude at representing a qualified storyteller provide a context for narrator-Chaucer’s place among the pilgrims. 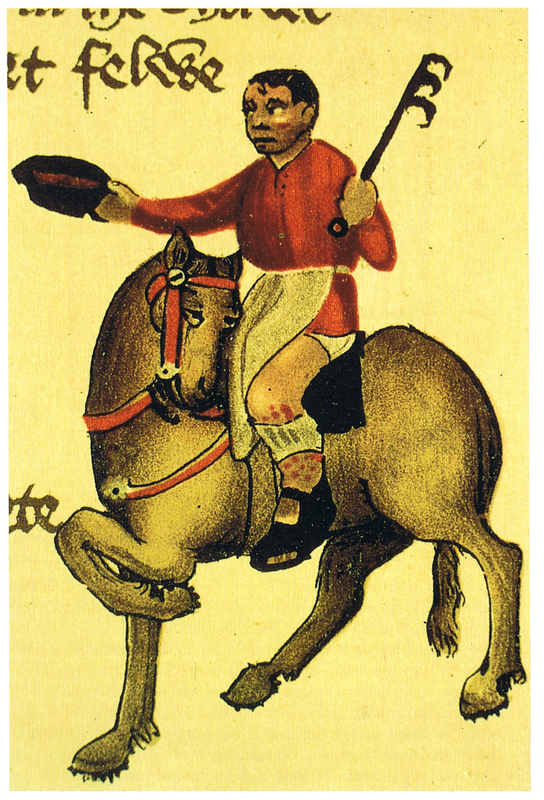 Any who take offense at the portrayal of their station in The Canterbury Tales, even after the repeated admonitions against taking narrator-Chaucer as the source of the tales or against taking jokes too seriously, would be hard-pressed to uphold a claim of libel alongside this self-deprecation. Further, this seemingly defensive maneuver of offering the pilgrims’ society as the matrix of the figure of Chaucer paints a striking image of the reality of that matrix. The familiarity of The Canterbury Tales‘ audience with the reality of the figure of Chaucer, in addition to providing this notion of realism as the pilgrims become the society of a real individual, also leads into the last effect of the self-deprecation: its comedic potential. The audience already being familiar with Chaucer would make these digs at his appearance function as a social invitation to laugh. To explore the full effect of this comedy, the presentation of narrator-Chaucer’s own tale and tale-fragment offer more evidence. As elsewhere in The Canterbury Tales with the Miller and the Wife of Bath, narrator-Chaucer’s presence uses comedy to bring the reader toward empathy. 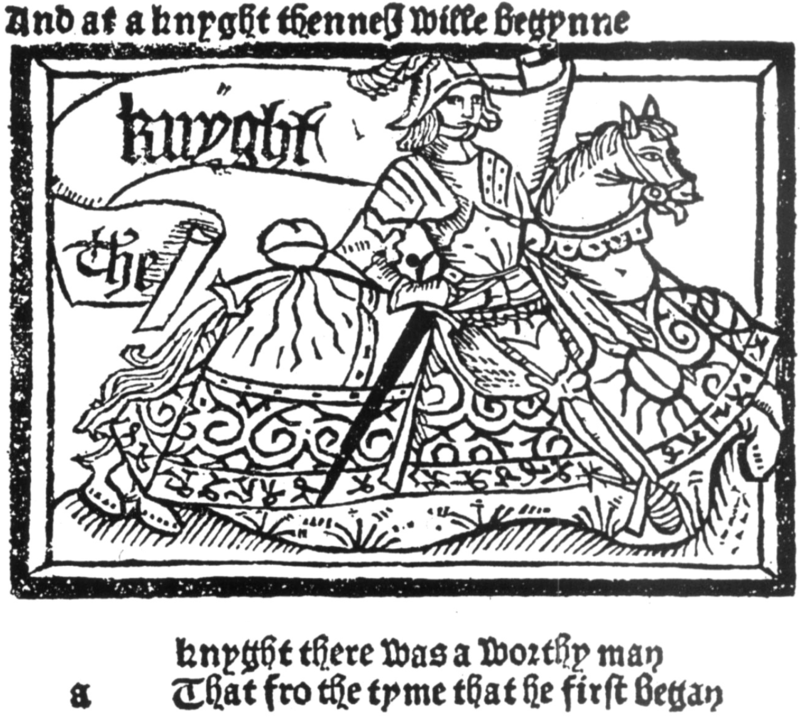 First, one may consider the very form of narrator-Chaucer’s offering: the eminent poet whose other work is already famous and who at this point in the pilgrimage has already produced roughly sixteen tales (depending on fragment order), spanning various genres and styles, gives to his own analogue an interrupted satirical Romance and a translated work of moral prose. The comedic irony of this choice need hardly be explored. The effect of that comedy does, on the other hand, operate differently from that in the earlier prologues. Whereas the earlier prologues rely on a defamiliarization of concepts such as chastity (e.g. in the Miller’s address of the Reeve) and propriety (e.g. in the Wife of Bath’s exegetical offerings) for their comedy, it is a bit of dramatic irony between the audience’s understanding of narrator-Chaucer’s prologue and their actual knowledge of the author which provides this initial laugh at both the literary forms employed and the self-deprecation. After all, it is only in acknowledging the artifice of Bailey as the insulter, a character in The Canterbury Tales and so written by Chaucer, that the reader encounters self-deprecation in the text. This means of creating comedy becomes a major source of the aforementioned confusion of reality and fiction. The dramatic ironies involved play not on the reader’s knowledge of the narrative, but on the reader’s knowledge of reality. This confusion is then ratified by the intrusion of Bailey’s frustration onto the “Tale of Sir Thopas:” “Til on a day— / / ‘Namoore of this, for Goddes dignitee’ / Quod oure Hooste, ‘for thou makest me / [. . .]” (lines 918-20, “Sir Thopas”). Bailey’s line rhymes with both the last uttered line of “Thopas” and with his succeeding line. Narrator-Chaucer, occupying for the reader a place of actual artist and contextualized pilgrim, is subject in both instances to the intrusion of another character. At the same time, the rhyming of that very intrusion calls attention to the artifice. To cap off this elegant mess, narrator-Chaucer reiterates that the “Tale of Sir Thopas” is the best and only rhyme he knows, causing a reverberation of said ironic awareness. The effect of this concatenation of jumps between artificiality and realism is a blurring of the rigid delineations of fiction and reality. At last, this liminal space between reality and fiction joins the intratextual liminalities of the contest-game, the pilgrimage, and the supernatural tale-elements to provide a place of new experiences for the reader, especially through empathy for the many conflicting voices across the work. Where authority manifests and where the reader should invest their emotional attention are undefined, allowing a testing of empathy for each of the pilgrims. This also works on the disarming of the reader’s criticism, as one can not easily reject the perspectives on offer without a firm grounding from which to assess the situation. These overall effects are developed in the inclusion of the long “Tale of Melibee” as narrator-Chaucer’s contribution to the contest. This is a purposefully confused sentiment in two ways. First, narrator-Chaucer’s use of “write” for ‘tell,’ even though the OED proffers no contemporary or semi-contemporary definitions of “write” wherein it is conflated with ‘speak,’ calls further attention to the fuzzy divide between the author and the character. These confusions maximize the effects sketched above, just in time for the narrative to launch into the lengthy diatribe against Melibeus’ warring. This peculiar move puts the reader back into the tale-telling, now to experience an extremely thorough defense of pacifism. Perhaps this placement implies that Chaucer was aware of the tale’s potential to lose its audience’s focus without an odd set-up, or that Chaucer saw legitimate value in the “Tale of Melibee” for the reader, whether that be again through comedy (unlikely at such length) or through its relationship with the other tales. This presentation of these conflicts with equal claims to validity, or even with an abasement of the author’s own contribution and a purportedly knighted source for its opposition, contributes directly to the subjectifying effect whereby the Tales provide a framework of empathy for the reader among the pilgrims. All are on even footing, leaving the reader to parse the disparate perspectives as having potentially equal claims at correctness. Last, it is worthwhile to look at Harry Bailey’s reaction to the “Tale of Melibee:” “I hadde levere than a barel ale / That Goodelief, my wyf, hadde herd this tale!” (lines 1893-4, “Monk’s Prologue”). This is a familiar formula by now. After each tale, there is a trend of the speaker saying in the first few lines of the subsequent prologue that the pilgrims are all affected appropriately, i.e. are all moved by the tale. However misogynistic, this reconciliation with Bailey, just like those other moments of communal response, demonstrates for the reader the power of the tale to inspire empathy in its receiver. While The Canterbury Tales often connects with its readers through comedy, all emotions, such moments contend, are likewise open. Rather than a communal description, this time the reader of The Canterbury Tales is presented with a description of one man’s response. This is an especially potent alteration for a reader recently moved in-between fictional and real mental realms; the power of the tale on the individual, Bailey, models the power of the tale on the reader, who might likewise be inspired to share the gained perspective with significant others. The question remains, however, of why this portrayal of narrator-Chaucer would be withheld from the “General Prologue,” and only provided well into the sequence of Canterbury Tales. Even though the specific, rhetorical portrayal of narrator-Chaucer acts against the mysterious aspect apparent elsewhere, that aspect is not without reason; in addition to narrator-Chaucer’s absence from the “General Prologue,” eyes do not turn toward him until most of the tales have been told. This allows the characters to behave without the overbearing influence of the reader’s awareness of the narrative voice. 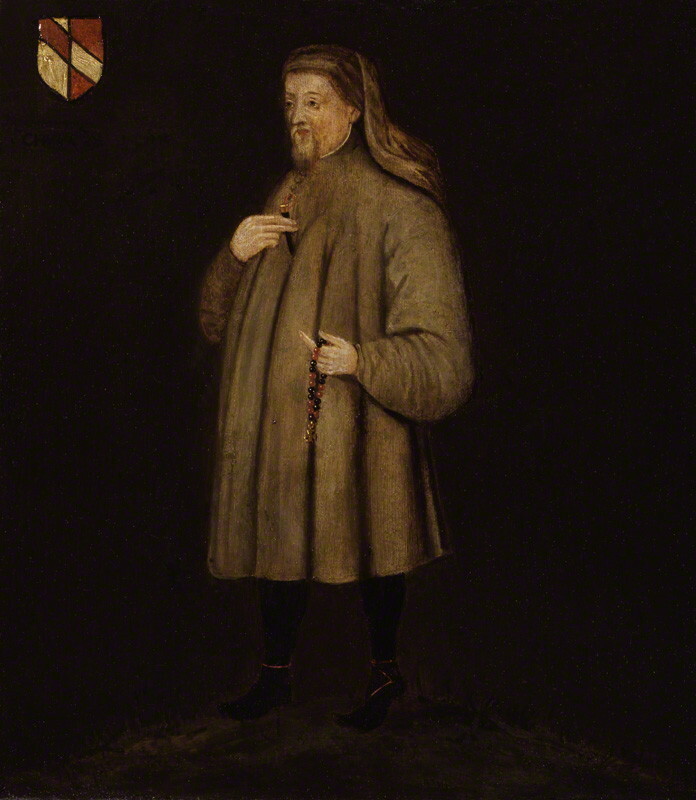 Though the speaker’s voice is always present, the specific as-yet-un-depicted narrator-Chaucer does not loom large in the reader’s mind until his own prologue. Except for marginal commentary, after the “General Prologue” the speaker fades somewhat into the background, relinquishing control of the prologues and tales to their participants and tellers, respectively. Unlike in a narrative-voice-driven work like Chaucer’s Troilus and Criseyde, the bulk of The Canterbury Tales is then constituted by characters speaking for themselves. The placement of this interaction and set of tales nearer to the middle or end ensures that, in a work all about reveling in the cacophony of its voices, that one voice does not dominate all. Rather, as narrator-Chaucer says of the gospels, “For somme of hem seyn moore, and somme seyn lesse, / [. 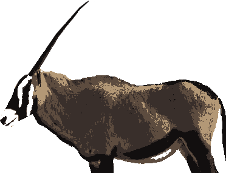 . .] But doutelees hir sentence is al oon” (lines 949, 952, “Sir Thopas”). The essential meaning of The Canterbury Tales is in agreement even when the methods of expression and even concepts espoused are disparate; that essential meaning becomes the effort of communication itself, as the pilgrims strive to make their perspectives known. The accumulation of liminal spaces within and without the experience of the Tales provides a way for the reader to participate in that striving by empathizing with those perspectives. Nowhere in The Canterbury Tales is the accomplishment of jarring the reader into an unsettled space so well-demonstrated as in the convergence of comedy and irony in narrator-Chaucer’s prologues surrounding the “Tale of Sir Thopas” and the “Tale of Melibee.” The craft of Chaucer’s poetry meets the cleverness of his characterizations in these passages to bring out-of-focus the lines between fiction and reality. Such unsettled spaces allow the reader to experience anew interactions which may otherwise seem archetypal or stereotypical between the pilgrims. Chaucer’s restraint in holding this maneuver until further into the Tales gives the other characters an actual chance to gain some autonomy. The combination of actuality with fiction is then reflected back by the reader upon the pilgrims by situating narrator-Chaucer among them. In the end, a definitive statement favoring a specific theme of The Canterbury Tales—such as the pacifism of Dame Prudence or the warring of Duke Theseus—is unlikely to be reached in a conclusive way. 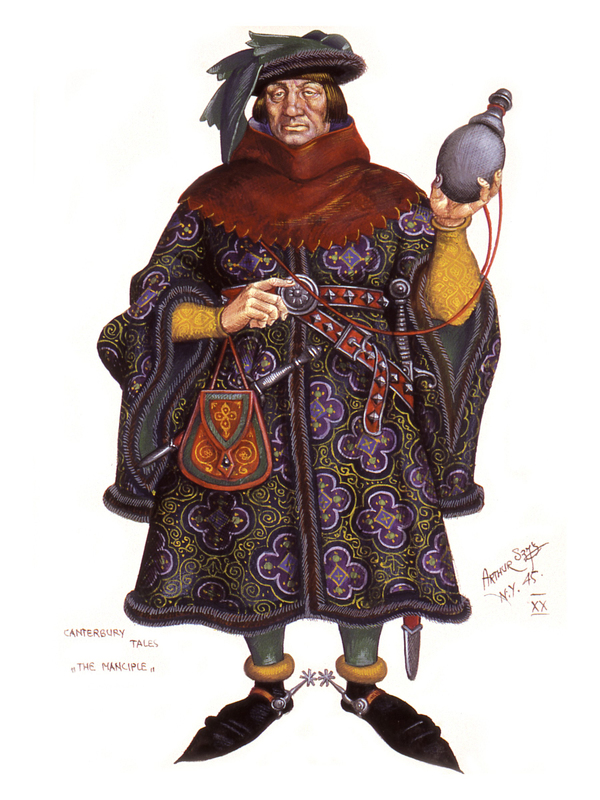 Rather, The Canterbury Tales ‘ interplay between the characters and their fellow pilgrims; interplay between the characters and the inner life implicit in their tales; and interplay between empathy for fictional people and empathy for actual people are the considerations that provide a meaningful framework for Chaucer’s pilgrims to inhabit. Liminal space and liminality refer to places and moments of transformation, transition, and experimentation. For a brief introduction to liminality in The Canterbury Tales, see this brief Wikipedia account. I would like to extend a special thank you to Professor L.O. Aranye Fradenburg, eminent in the field of psychoanalytic criticism and among medievalist scholars more generally , without whose brilliant instruction this article would not have been possible. This is not intended in any way to indicate the Professor’s endorsement of any of my ideas. Tagged book review, empathy, Geoffrey Chaucer, medieval literature, Middle English, The Canterbury Tales, The Tale of Melibee, The Tale of Sir Thopas.